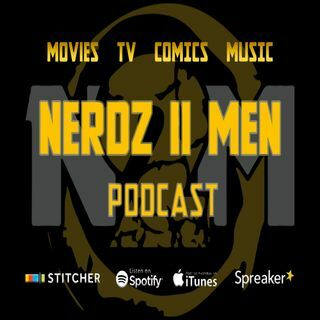 We talk nerdy about super hero movies, TV shows, comics, pop culture and much more! Rise of Skywalker Trailer, Game of Thrones, Hellboy, Oh Buck Yeah and more! Shazam Movie Review (No Spoilers), Idris Elba won't be Deadshot, Net Worth, Oh Buck Yeah and more! Mark Hamill is the voice of Chucky, Jordan Peele bringing back Gargoyles?, Nerd Trivia, Oh Buck Yeah, and more! Bill & Ted Return, Shazam, Eternals, Detective Comics 1000, Oh Buck Yeah and more! Captain Marvel Spoiler Reveiw, James Gunn Returns to Guardians, Oh Buck Yeah and More! Captain Marvel (97% Spoiler Free), Suicide Squad 2 Update, Net Worth, Nerd Trivia, Oh Buck Yeah! X-Men vs. Avengers Movie Rumors; Dark Phoenix Trailer Reaction; New Comic Book Release Updates and More! Into the Spider-Verse Wins an Oscar! Nerd UPdates, New Comic Books with Oh Buck Yeah, and More! Will The Batman Sparkle? Black Panther wins a Grammy, Howard the Duck Returns, and more!